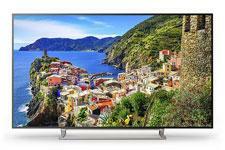 Toshiba's Digital Products Division (DPD), a division of Toshiba America Information Systems, Inc., today announced the immediate availability of its 2014 4K Ultra HD TVs. The all new L8400 and L9400 Series 4K Ultra HD TV models deliver an unmatched entertainment experience for movies, TV shows, video games, home movies, photo viewing and streaming, featuring 4K Ultra HD Resolution (3840 x 2160), which is four times the resolution of 1080p HD. Toshiba has enhanced its third generation CQ 4K Engine, which now features PixelPure 4K Upscaling. In addition, Toshiba has also added its first-ever Toshiba Radiance 4K Full Array LED Panel with virtually twice the brightness of standard LED panels to truly set the L9400 Cinema Series apart. • CQ 4K Engine: Toshiba's 3rd Generation Quad+Dual Core 4K Processor utilizes a 5 Point Image Enhancement System for superior 4K Ultra HD images. Enhancements include: Motion Interpolation, Dynamic Detail Enhancement, Color Restoration, and Dynamic Noise Reduction. • PixelPure 4K Upscaling: Watch Everything in 4K Ultra HD Now! Advanced resolution restoration for all of your favorite content and programming sources, including Blu-ray Disc, cable, satellite, video games, home movies and more. Everything you love to watch is precisely converted to 4K Ultra HD pixel resolution for an incredible, ultra-realistic home theater experience. • Wide Color Gamut: Image color that is noticeably more vibrant and more realistic. • ClearScan 120Hz: Advanced backlight control with image synchronization to double the television refresh rate for clearer fast motion video. This technology is ideal for watching action movies, sports and video games. • Smart TV with Cloud Portal: Enhanced graphics with 3D transitions, faster operation, and additional services keep the 2014 Smart TV with Cloud Portal system a step ahead. Whether you want to stream content from your favorite Apps, a USB Stick or your home network, connect to your mobile devices, or connect to people with Toshiba's unique Personal Messaging, Toshiba's Smart TV with Cloud Portal makes it fun and easy. • Labyrinth Speaker System: Special speaker module with a folded sound channel increases SPL & bass response for a fuller sound from a thin flat panel TV. • DTS Premium Sound: The most advanced DTS audio suite for televisions including TruSurround, TruBass, TruVolume, TruDialog and Depth Rendering for a fuller, wider and more accurate sound experience. • Sonic Separation: Background sounds and vocal sound can now be mixed separately. Now you can lower noisy background sounds so you can hear the voices more clearly, or eliminate the vocals so you can sing along with a music video. • HDMI with 4K 60p Capability and HDCP 2.2: Supports 4K Ultra HD video content input at 60fps for clearer fast motion 4K video, and includes HDCP 2.2 copy protection so you can enjoy HDCP 2.2 protected 4K content via HDMI. • H.265 HEVC: Supports advanced compression coding to allow 4K Ultra HD content streaming from H.265 HEVC sources. • Custom Installation Ready: With features like Control4 compatibility, Expert Mode, and ColorMaster, these TVs make the perfect focus point for a larger home theater system. The L8400 Ultra HD TV is available now in a 58-inch screen size for $2,499.99 MSRP. • Radiance 4K Full Array LED Panel: Toshiba's first-ever LED panel kit with 4K Ultra HD resolution for razor sharp images, a Full Array of SuperBright LEDs for Virtually Twice the Brightness, Quantum Black Local Dimming for Deeper Blacks, and Super Wide Color Gamut for Richer Colors. The Radiance 4K Full Array LED Panel Sets the Standard for 4K Ultra HD quality. Radiance 4K brings the promise of 4K Ultra HD to life. • ClearScan 240Hz: 240Hz technology uses both frame interpolation technology and advanced backlight control with image synchronization to significantly increase the TV refresh rate for an even clearer fast motion video. This technology is ideal for watching action movies, sports and video games. • Ultra-Thin Poster Frame Cosmetic Design with Angled Stand: This elegant look will impress, yet the sleek, modern design blends perfectly into any home environment. The L9400 Ultra HD TV is available now in a 65-inch screen size for $3,999.99 MSRP. • Check out Toshiba's brand page at HomeTheaterReview.com. • See Toshiba's full TV lineup at Toshiba.com.